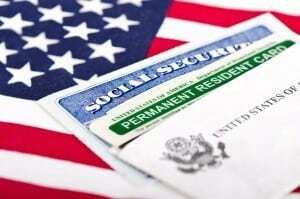 Can I Qualify For Social Security Disability Benefits If I’m Not A Us Citizen? If you are a non-citizen of the United States, you may be eligible for Social Security disability benefits if you are disabled, and do not have the ability to work, and sustain an income. However, you must meet all of the qualification criteria that citizens have to meet before they qualify for benefits. That means that your disability must meet the definition of disability as defined by the Social Security Administration. To understand how the Social Security Administration defines disability, discuss your case with a Los Angeles Social Security disability benefits lawyer. Besides, you must also have paid sufficient enough taxes into the Social Security system for you to qualify for disability benefits. If you are a permanent resident of the United States, you may continue to be eligible for benefits if you meet these conditions. However, if you’re neither a permanent resident, nor a citizen of the country, that doesn’t automatically mean that you do not qualify for benefits. Discuss your eligibility with a Los Angeles Social Security disability benefits lawyer. There are certain other criteria that could possibly apply to you, and you could be eligible if you meet these criteria. For instance, if you are not a citizen and not a permanent resident, but have contributed sufficient taxes into the Social Security system, you may still qualify for benefits. Not all foreigners in the country are automatically eligible for benefits, however. For instance, if you are a foreign student, you may not be eligible for Social Security disability benefits. Discuss your eligibility with a Los Angeles Social Security disability attorney. Also remember that the country of origin may also be a factor in whether you qualify for disability benefits. Persons from certain countries may live in the country legally, but may not qualify for Social Security benefits.